Most people have heard the tragic story of the sinking of the Titanic, but not as many know the truth about the fateful voyage of the Lusitania. On May 1, 1915, the Lusitania set out from New York, headed for Liverpool. Though submarine warfare was a huge threat at this time, the Cunard Line felt it would be safe to proceed on this journey. Due to a series of most unfortunate events, misunderstandings, overlooked warnings, and more, Captain Turner’s supposedly unsinkable vessel was sunk by a German U-boat on May 7, 1915. 1,266 passengers and a crew of 696 were aboard and of them; a staggering 1,191 lost their lives. Erik Larson, best-selling historical non-fiction author of the books Devil in the White City and In the Garden of Beasts (among others), weaves this tale of history in a way that allows the reader to get to know the passengers personally. The heroics of the survivors should never be forgotten, and Larson does an excellent job making sure this is the case. 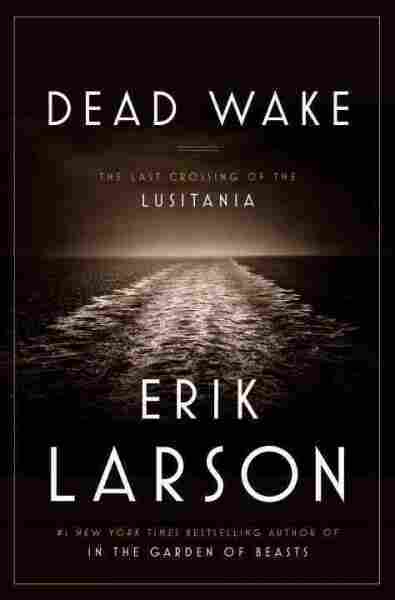 I am a huge Erik Larson fan and I was not let down by this, his most recent work! If you enjoy non-fiction, stories of disaster, war, survival, and heroics, I would highly recommend this epic book.